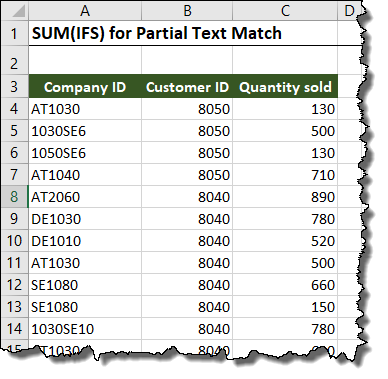 Learn how to SUM values in Excel based on a partial text match. This is great for cases when you need to sum a column based on “criteria contains” a specific value or text. For these cases you can use Excel’s SUMIF or SUMIFS function together with wildcards. I also show you how you can sum based on two or more conditions. 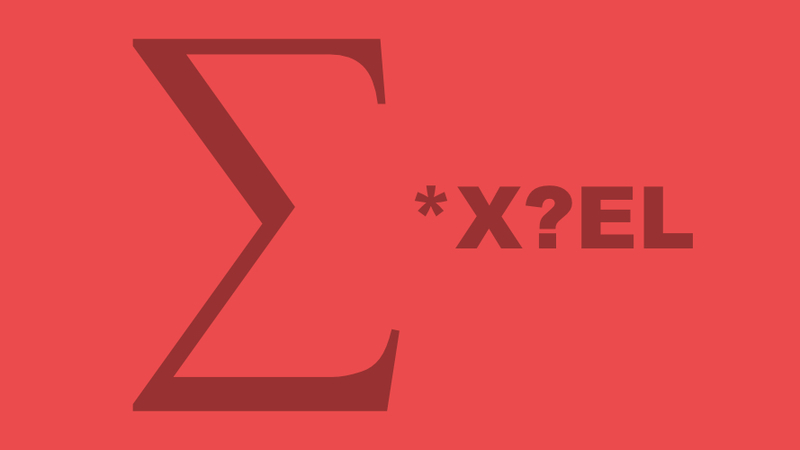 Here the SUMIFS formula comes in really handy. This post will demonstrate how to perform a filtered sum of values based on a partial text match. Although these are fantastic functions, most users are under the impression that the criteria must match entirely in order to be included in the aggregation. Although, this is how these functions are typically used, this is not the case. I have covered the mechanics of filtered aggregations (SumIFs, CountIFs, and AverageIFs) in a previous post. Click the link below to review. I have also covered a technique to sum values between two dates using the SumIFs and EOMonth functions. Click the link below to review. Question Mark (?) – This wildcards character will allow for any character in a single character position. This wildcard is useful when you must locate something in a specific position within a set of text. We can leverage the power of wildcards to create aggregation functions that are not so critical about the comparative, but rather more forgiving. These strategies work with all the defined aggregation functions listed above. For this post, we will demonstrate various techniques using the SUM function. Examine the sample data set. For our first example, we want to sum all the values in the “Quantity Sold” column where the “Company ID” contains the characters “AT” anywhere in the text; beginning, middle, or end. Observe that this fails to return any “hits” because it is looking for “Company ID’s” that exactly match the letters “AT”. We want the formula to be more forgiving. By placing an asterisk both in front and following the text in cell F6, we have told the SumIFs that the characters “AT” can occur anywhere within the “Company ID”. Because we are searching for text, we must enclose the asterisks (*) in double-quotes and concatenate the components with ampersands (&). Fill the formula from cell G6 down to cell G9. For our next example, we want to sum all the values in the “Quantity Sold” column where the “Company ID” BEGINS with the characters “10”. Now we want to sum all the values in the “Quantity Sold” column where the “Company ID” ENDS with the characters “10”. Now we want to sum all the values in the “Quantity Sold” column where the “Company ID” contains the characters “10” in the 5th and 6th character position. Because we want to examine each character position separately, the question mark (?) wildcard is ideally suited for this task. Because there may be other characters after character position 6, and we don’t care what or how many there are, we will use the asterisk (*) wildcard to handle the “right side” of the search. Scenario #5 – Sum “Quantity Sold” if “Company ID” begins with and ends with specific characters. In this scenario, we have a set of four characters (ex: AT30) and we want to sum all the values in the “Quantity Sold” column where the “Company ID” begins with the first two characters (“AT”) and ends with the last two characters (“30”). We will use the text functions LEFT and RIGHT to assist with the text search. In the example in cell G17, it would be as if we were searching for “AT*30”. Fill the formula from cell G17 down to cell G19. In this final scenario, we will perform a similar operation as above where we want to look for “Company IDs” what begin with two specific characters but add an additional parameter where the corresponding “Customer” matches a stated customer number. Fill the formula from cell H23 down to cell H26.